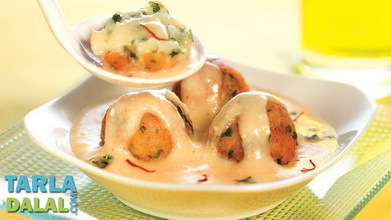 With Malai Kofta, it is always celebration time! 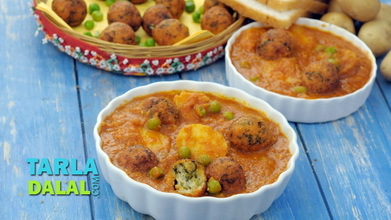 this is one dish which nobody will get bored of even if it is served at every party. 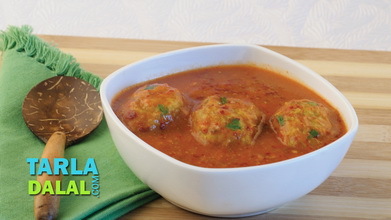 The koftas themselves are so tasty that they can easily be served as a snack along with tea. 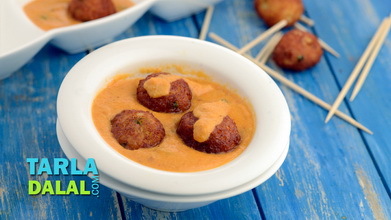 You could microwave or shallow fry the koftas if you want to avoid deep frying them. Divide the mixture into 8 equal portions and roll each portion into a cylindrical shape. 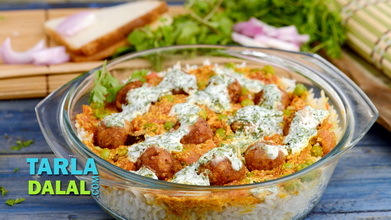 Heat the oil in a deep non-stick kadhai and deep-fry, a few koftas at a time on a medium flame, till they turn golden brown in colour from all the sides. 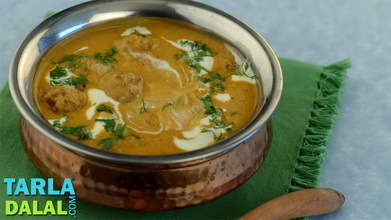 Combine the onions and cashewnuts in a mixer and blend till smooth. Keep aside. 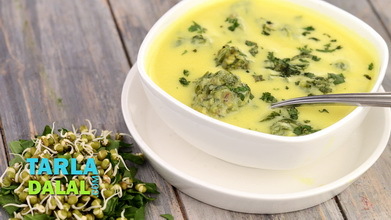 Heat the butter in a deep non-stick pan, add the onion-cashewnut paste, garlic paste, ginger paste and green chilli paste and cook on a medium flame for 2 minutes, while stirring occasionally. 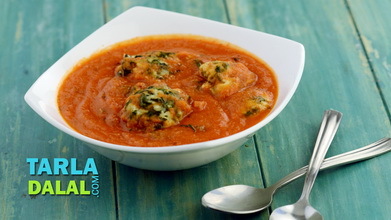 Add the tomato pulp, sugar, garam masala, chilli powder, salt and ½ cup of water, mix well and cook on a medium flame for 3 to 4 minutes, while stirring occasionally. Switch off the flame and add the fresh cream and mix well. 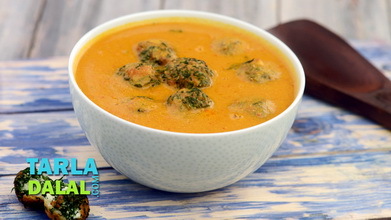 Just before serving, arrange the koftas in a serving dish and pour the hot gravy over them. Serve immediately garnished with fresh cream.